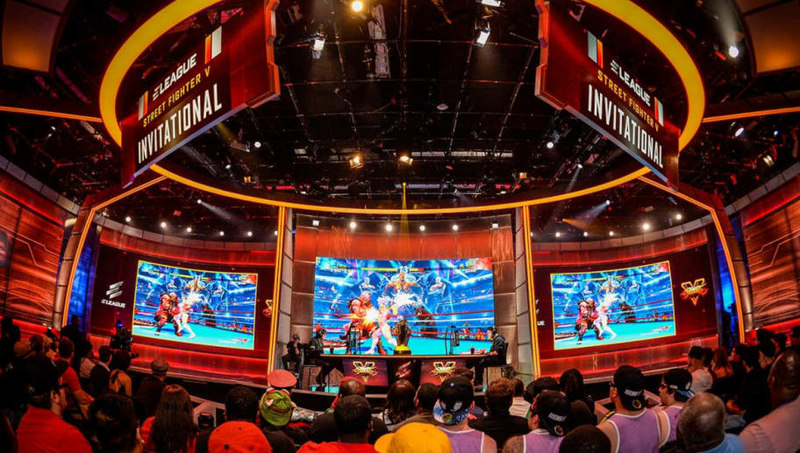 The ELEAGUE Street Fighter V Invitational returns on June 1 and will feature 24 players battling for a $250,000 prize pool, ELEAGUE announced Thursday. ​The 24 players will compete in four groups, and the top two performers from each group will advance to the playoffs. Group A will face off on June 1, Group B on June 8, Group C on June 15, and Group D on June 22. The playoffs and grand final will occur July 13. Announcements on the invited players, commentators and live audience tickets will be announced by ELEAGUE in the future. The ELEAGUE Street Fighter V Invitational last year ​saw Victor "Punk" Woodley win. Ryan "Gootecks" Gutierrez futuritic ​outfit and the ​Kenneth "K-Brad" Bradley and Joshua "Wolfkrone" Philpot feud were some of the highlights of the event. This year, ELEAGUE will also feature the ELEAGUE x Battlefy: Street Fighter V Open. The event will give players of all skill levels a chance to compete in online matches via the Battlefy portal. ELEAGUE hosted a similar event with t​he ELEAGUE and Geico Amateur League last year. The Open will have two regular seasons that are spread across five consecutive weekends. The first will begin on Apr. 21, and the second will start on May 12. Play will begin with an optional preseason that will occur on Apr. 14-15 allowing players to get playing time on the Battlefy platform. ELEAGUE will offer the top two finishers in the Open a VIP trip to Atlanta, where they will compete at ELEAGUE Arena prior to live coverage of the Invitational’s Grand Final on Friday, July 13. The Open will have two regular seasons that are spread out across five consecutive weekends beginning on Apr. 21. Registration for the Open will begin Saturday, Mar. 31. More information on the Open can be found ​here.